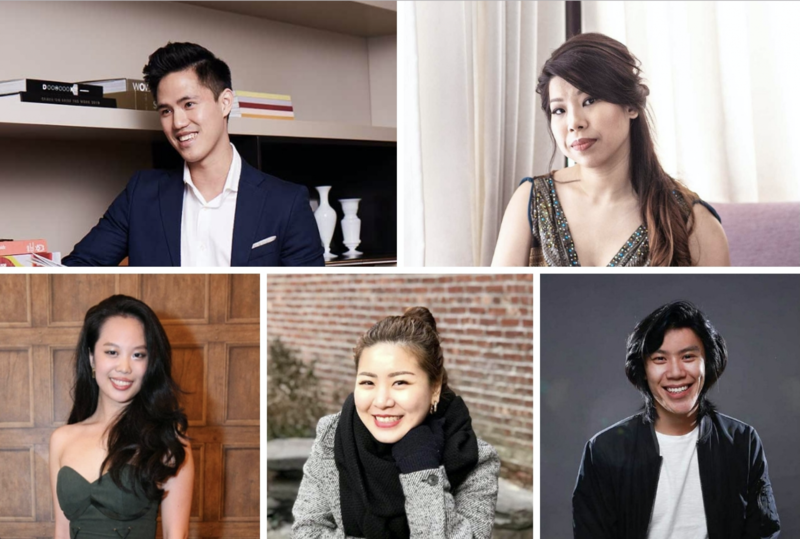 As Valentine's Day shifts its focus on couples and their scrambling about picking the perfect bouquet or perfume for their significant other(s) and making reservations at the most romantic spot in town, we approach singles Lim Zi Ling, Brian Chan, Dianthus Goh, Mark Choo and Yap Po Leen for a chat. Ah, the season of love and romance is upon us! Soon enough, hearts will be floating left and right and in people’s eyes as they celebrate and commemorate relationships as a couple. But wait, what about the singles? There’s no way we’d cast them aside! In the midst of our focusing on couples this month, we take a step back and ask the single members of our society a couple of questions pertaining to love in the digital age, the worst dates they ever been on, their ideal date and partner and most of all, what their dreaded “why are you single” statements or questions are. Trust us, you will be cringing on their behalf, too! Photo: Courtesy of Lim Zi Ling. How do you think love has changed in the digital age? Are you for or against apps like Tinder? I’m not against it but it has become a matter of convenience and choices. From an app, you have access to so many choices so if A doesn’t work, you have option B, C, D just with a swipe of the finger. I feel that there’s not much effort needed these days. What has been your worst date ever? I think I’m that worst date. I was overseas and went out with someone. We were talking about it for weeks but on that day, I was down with a sore throat and fever. Still, I insisted on carrying on. I was shivering, dizzy, out of focus and I almost passed out. The poor guy didn't enjoy the night, and had to send me back because I was so sick I almost could not walk. How has your perception of love changed throughout these years? It used to be those “butterflies in the stomach” type of things, but now it's more towards practicality in terms of finance, compatibility and interests in life. What’s that one question you absolutely hate people asking/saying about singlehood? I feel that there’s not much effort needed these days. Photo: Courtesy of Malaysia Tatler. I think it has evolved. It allows for a lot more creativity to make an impression when you’re on a date. You often only get one shot, so creativity does come into play! What would you consider to be your ideal first date? Complete spontaneity! I once asked a girl out to Riuh, we walked around, took part in festivities, snuck off from our friends and had dim sum for dinner, and out of nowhere decided to drive to Genting while listening to Bazzi. We just spent our entire night at Genting, running around and exploring. It was an adventure. Best date ever. I think I’ve come to a point in my life where my perception of love towards someone just boils down to trust, honesty, chemistry, working and supporting one another’s goals and working on goals, together. Photo: Courtesy of Dianthus Goh. Yes, I do think that love has changed in the digital age, in the way that it’s made everything, including people more accessible, that the prospect of meeting a potential someone is made easier in a way. That doesn’t mean you’ll meet someone you like just because you meet more of them though. I’m ambivalent about apps like Tinder, I’ve been on it and subsequently off it, I can’t be judgmental about the convenience of it. But it does I feel, take away the simple magic of meeting someone you could like in an unplanned, unorchestrated way. My worst date, and bearing in mind I’ve had so many! This was many years ago, but the conversation I remember was terrible, and at the end of the night, he took the liberty of trying to kiss me on the lips and I slapped him! The double shocker, was that many months later I saw him in a restaurant, very embarrassed and very married with little children, some people really don’t volunteer the most important information on a first date! If it has changed at all, I would think that it is that you can greatly love and still love someone but have the courage to walk away if it no longer nurtures your growth. When you’re younger, everything is so black and white, so ‘this is it’ – a be all, end all. Now I think I care less about what I should expect to find in a person, I think more of what I can give. I think it’s that if you are single, most people would like to think that you’re unhappy, or incomplete in some way. That you must be looking and searching, or for the want of a better word – desperate. It would be the loveliest thing to be a pair, but I highly recommend those pockets of time that you spend with yourself, that solitary doesn’t mean alone, it’s a perfect chapter for soul searching and enjoying your own company, building your dreams and the romantic in me believes that you meet the right person when you’re hopefully the best version of yourself. Many months later I saw him in a restaurant, very embarrassed and very married with little children! I don’t think love has necessary changed much in the digital age. For most of us, it is just redefining what romance looks like. Whereas we use to give flowers, we may give them a cute emoji or GIF to attract one another. On a more negative note, it has made those of us looking for love a little more impatient and perhaps our expectations just a little high, with all the options available, ultimately I believe dating apps has made dating and finding real lasting relationships more difficult and time-consuming. My friend had a date with this girl who had a twin sister. He invited me on the pretext it was a double date with both the sisters, when we got there, there was no sister and my friend’s date was actually on another date with her ex-boyfriend. We just went to eat mamak with each other nearby instead. When I was younger, I used to think love was easy, that it happens when you least expect it and you’re just meant to go with the flow. Nowadays, love for me is much like work, you need to put yourself out there, take the risks and be seen and heard. What would your ideal partner be like? The perfect partner for me would be someone who has a sense of humour and can laugh at almost everything, even my really bad jokes. Someone who gets along well with my friends and family as they are a big part of my life, accepts all my flaws and imperfections which are many and finally, someone who is willing to be spontaneous and travel with short notice as i hated travelling as a kid so have to catch up on that. Ultimately I believe dating apps has made dating and finding real lasting relationships more difficult and time-consuming. Photo: Courtesy of Yap Po Leen. I think nowadays, people are so constantly on social media and tech gadgets that it has become a way of life. For example, social platforms have become a way of showing one’s love through posts and comments, whereas previously everything was more face to face. Apps are so common these days, and while I like the old fashioned way of meeting someone, I am for apps as they do give a chance for people to connect with people they may not normally meet. I also have heard and have friends who’ve had success stories, so, good for them! Let’s just say that uninvited physical contact and the passing of the bill is not elegant. I like my food and trying new places in town, so an ideal first date would be at a nice but casual place that is relatively quiet so we can talk and get to know each other more, and then possibly adjourning somewhere for dessert or a drink. Let’s just say that uninvited physical contact and the passing of the bill are not elegant.